If you’ve ever dreamed of getting paid to travel, you might want to fill out an application with Dream Jobbing. Dream Jobbing is a combination Production Company/Job Search and Technology Platform. 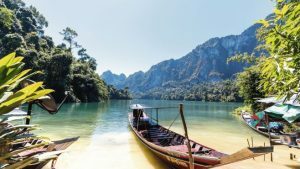 They recently teamed up with the Tourism Authority of Thailand to launch a search for someone to be filmed traveling around Thailand, showcasing off-the-beaten path destinations and experiences. According to the press release, they’re looking for a U.S.-based millennial with “an adventurous spirit.” Whoever gets the “job” will have his/her Thailand journey filmed for a TV documentary called The Local Traveler in Thailand. Interested applicants need to upload a short video (60 seconds or less) telling the organizers a bit about themselves and why they would be the perfect “local traveler in Thailand.” The application process opened on November 1 and will continue through the end of the year. The selected candidate will travel to Thailand for two to three weeks sometime between January and February 2019. She or he will receive round-trip airfare, all in-country expenses, a per diem, and a salary. The “job” will be to tell the story of Thailand while discovering local Thai experiences. 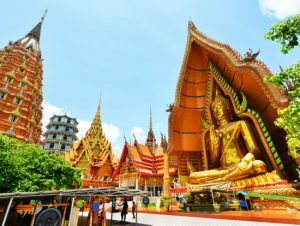 The Tourist Authority of Thailand said that its hope is that this will be an opportunity to showcase parts of the country and activities that are not yet on many traveler's radars.